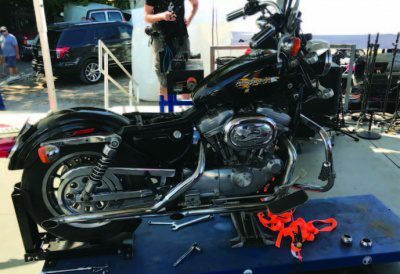 we think of when we customize and evolve a Sporty is to chop off the rear suspension and hardtail it, but this one had to have performance front and rear suspension. So, as we started to tear it down, we discussed what we could do to get the best of both worlds. 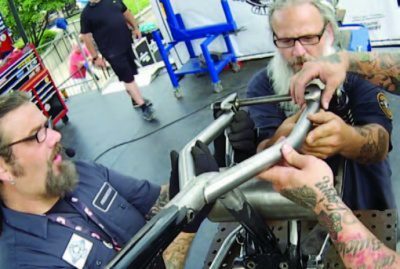 We decided to take some cues from the work Jeff Cochran, SpeedKing Racing, is doing on four speed frames with his drop seat conversion and drop the seat rails down about an inch and a half. It starts by locking the frame into the Bluco table to prevent any of the stock geometry from changing. After some thought and planning we make the decision on where to cut away the stock frame components, and then make marks to cut from. It’s important here to think ahead. You don’t want to cut away too much so keeping a little extra material that can be massaged away later is the best practice. 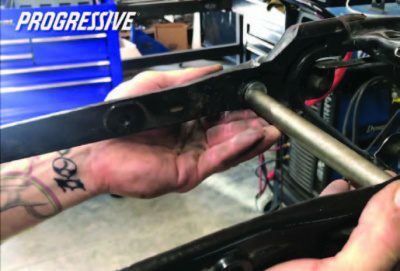 Before we get the saw out, we weld in a piece of tubing between the shock support sections of the frame to ensure that they remain inline throughout the process. A couple heavy tacks will do for this purpose. There are a number of ways that the unwanted frame material could be cut away, but we go with the SawZaw so that we can keep better control of exactly where we cut. Remember you can’t put metal back on so it’s better to play it safe. 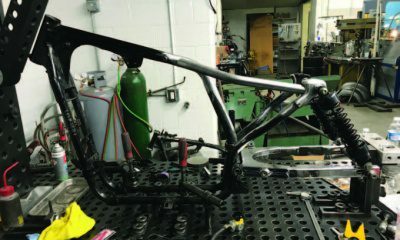 With the old frame section out of the way, you can see that there is still a considerable amount of work to do to get the frame ready to accept new material. 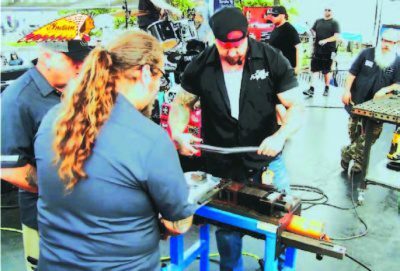 Using a section of TIG welding rod we assume the line of our desired new seat rail, just to get a better visual of what we will be going after once we start bending the tubing. 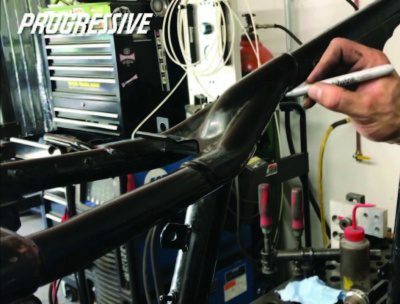 Before any tubing work can happen, the delicate work begins. We start with an electric grinder and an 80- grit flapper wheel, taking off light amounts of the original fixture material. Just kissing the metal at the weld joint until it cuts through the weld, but not the section of the frame we are keeping. Here you can see the prepared frame ready for new seat rails. 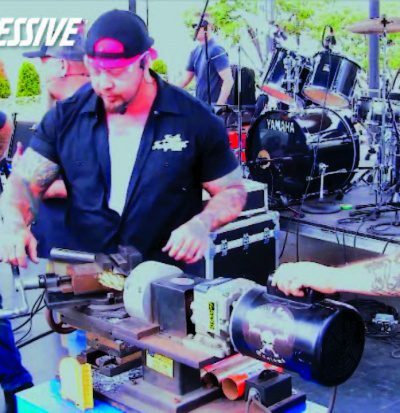 From here we headed to Ohio Bike Week to do the rest of the work live on stage at Progressive’s Grease & Gears Garage. 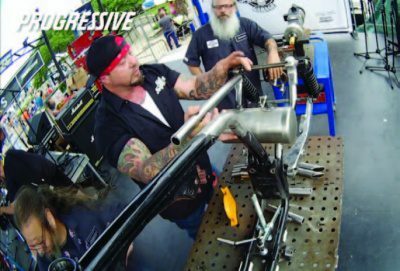 With the frame locked down again, this time on our Grease & Gears Weld Table, we start by measuring out the tubing needed for our new seat rails. Using the Mittler Bros Hydraulic tubing bender we can accurately bend the 1-1/4 to a 26 degree bend per our design requirements. Once more, we take it to the frame to double check the fitment before we go any further. We also make lines at the center of the tubing to indicate where we will need to notch the end. 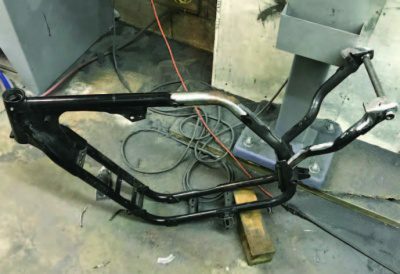 Using the Mittler Bros tubing notcher we notch both ends of the seat tubing, so they fit nice and tight to the stock frame. 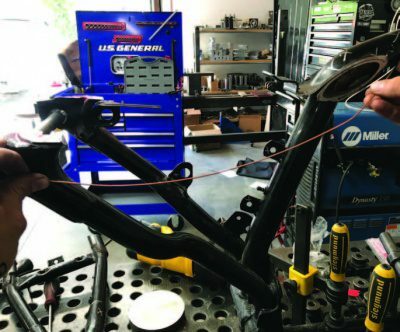 After notching a piece of tubing, it is imperative that the outside edge of the tubing be sanded back to full material thickness and beveled at an angle that will allow for full weld penetration. We complete the same steps for the other side of the seat rail and hold them into position to get a measurement for the crossbar. The cross bar gets notched in similar fashion on both ends as well. Then we check it for fitment. With all the new sections of tubing fit and ready we take a minute to prep the areas that will be welded. This is done with both Acetone and mechanically with red Scotchbrite pads. One last fitment check and we should be ready to start tacking the seat rails in. 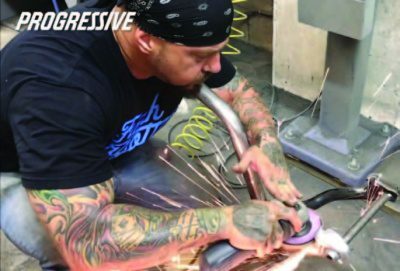 It’s never too late to readjust the fitment before you weld. 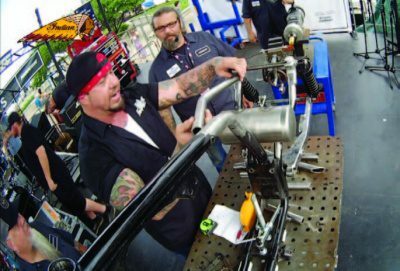 The better the fit, the better the weld, the better your end result. In this case, our cross bar needed just a little extra material taken away. Remember to bevel the tubing to allow for weld penetration. One step at a time, each piece gets a tack weld and all angles and alignment are checked after each one. 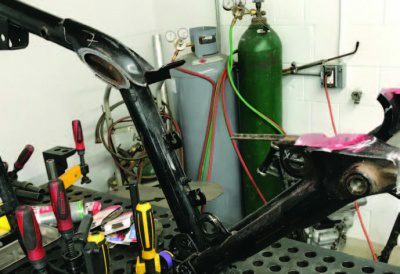 Here you can see the new lines established by the first ever drop seat conversion for an Evo Sportster. 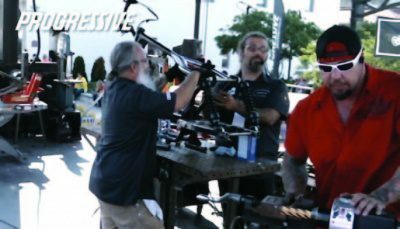 We have teamed up with Suspension Technologies to add in some performance shocks and they will be doing the front cartridges as well. As always, the result will be a direct reflection of the time and care you are willing to put into the process. Strive for precision and quality in every pursuit and you will reap the rewards. 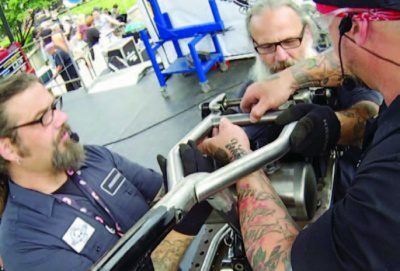 The Grease and Gears stage has become a proving ground for demonstrations of high quality work in the motorcycle industry. 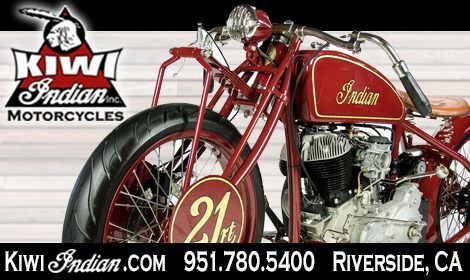 Be sure to check out our next stage performance during Laconia Bike Week at Roadhouse. 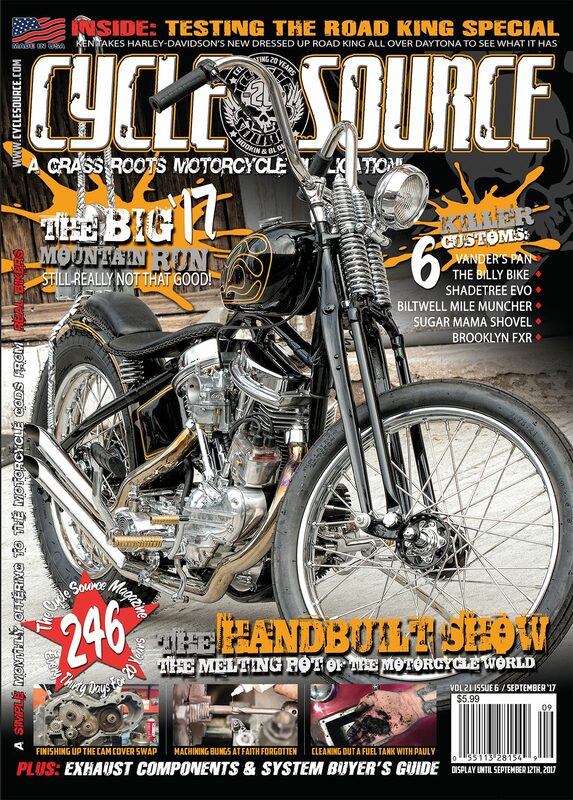 This entry was posted in Tech Tips/ DIY and tagged August 2018, Back Issue, Cycle Source, Cycle Source Magazine, Drop Seat, Grease & Gears, Grease & Gears Garage, Progressive, Progressive Insurance, Progressive Sporty, sportster, Sporty, Tech, Tech Tips. Bookmark the permalink.